Two Chicks On Books: Blog Tour- LARK RISING by Sandra Waugh and a Giveaway! 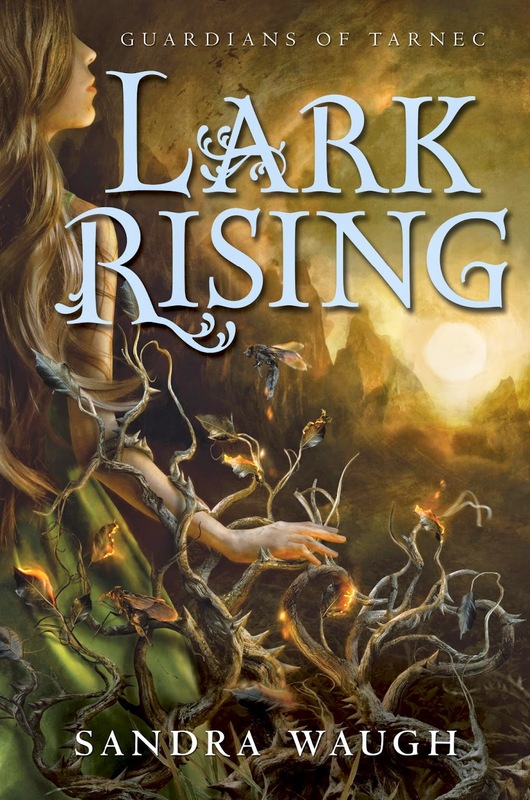 Blog Tour- LARK RISING by Sandra Waugh and a Giveaway! Hey y'all! 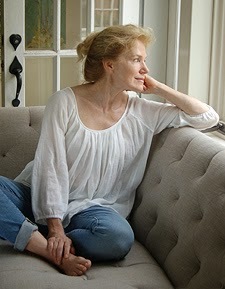 I'm super excited to have Sandra Waugh here here today as a part of the LARK RISING blog tour! I asked Sandra for a post from Gharain because I love him and she said yes! I was so happy that she'd share this with us! Make sure to stick around to win a copy of the book! Haven't heard of LARK RISING ? Check it out! The moon was huge. It filled the sky, a burst of silver against the rich blue of midnight. It spilled over the backs of the horses. Maybe it filled them, too, for they raced across the valley with an abandon not witnessed before this night. A stampede, almost, spurned on by some magic of moonlight. Gharain paid little attention to horse or moon. He fixed a hollow gaze on the path where it wound treacherous and steep between the cracks of granite. Needless vigilance. He knew the path blind, climbed it quickly. He should be more observant of his surroundings, he warned himself, ’twas his watch. But the valley was empty of threat. The hills of Tarnec were empty of threats. He was the only threat. No. No pity, not even a breath, a hint of forgiveness. Never forgiveness. A curse for it! A curse on him. He—a Rider, one of Tarnec’s own. Brash, yes. Guileless, certainly. He’d done more ruin with a kiss to make forgiveness impossible. Anger rushed in instead, to surround, expand, charge his footsteps and shimmer in his wake. And yet anger could no more erase regret than self-pity, only mask it somewhat better. “Be done with it, man!” Brahnt had finally barked in frustration at Gharain’s temper as they set camp. Even Wilh had grit his teeth. ’Twas good he’d volunteered then, to walk away, take a final sweep of the hillside where the rocks and crags and boulders were sharp-shadowed under the bright moon. Where it was easy for a Troth to hide between the contrast of silver and black. Gharain snorted, pushed his hair from his eyes with an impatient flick. There would be no Troths sneaking into Tarnec that night, they all knew it. They’d killed a slew of them seven nights ago. It would take time for Troths to regroup, to venture again beyond their filthy little holes in the Myr Mountains. He swallowed hard. What unbearable word to use: Death? Theft? Murder? —Since the imbalance, Troths were slithering out of those holes in numbers now. They ravaged the settlement at Wardsway. A plea sent by message dove begged the Riders to come. And they had. Not all the Riders, just Brant and Wilh and himself. They’d splattered Troth blood across the growing fields. He could have done it alone, Gharain thought. Spit each beast on his single sword. He could have tackled and slain the entire mountain. He had the anger enough for it. Would it have eased the pain any more? Softened that craving for revenge? He wiped his brow with a sleeve, climbed on. He shouldn’t entertain such desperation; he knew it. The ache of revenge marred thought, and reason, maybe it made his senses duller even as he felt stronger for it. Marc said it: “Easy with yourself.” Laurent had nodded as if he understood. But how could they understand? His fault all of it. Stupid, ill-got passion, the bitter taste of it left clawing at his throat. He’d kissed her. A kiss to that mouth—the mouth that smiled as his queen died, smiled until it was a gaping pit of black madness offering to swallow him whole. Rage boiled once more at the memory. Gharain kicked a chip of granite, listened to it skitter, hop and ping its way down the scabs of rock on its way to the valley. Their blood stank. Those Troths. Their blood stank. The path narrowed. Not a path, really, just a niche between boulders. The edge of the forest appeared on his left, pines and eucalyptus streaming up. Camp was not far. Though the thought of rest did not soothe. Trethe had provided sleeping brews for him. He’d tossed them. He did not want to rest. The forest loomed up now, spires of black piercing the sky. The scent of pine and eucalyptus equally pierced. Gharain stopped, inhaled deeply for once. The freshest of smells, pungent and pure. For a moment they wiped his pain, cleaned him of rage. The release caught him by surprise. He stayed where he was, closed his eyes, drew in the scent. And then something—the strangest of sensations—sparked through him like a tiny lick of flame, hot and quick. A pull, a yearning. It caught at his heart, took his breath before he shook it off. Gharain opened his eyes, thinking then that a flicker on the rock up and beyond where he stood was merely the trick of moonlight. But there it was again. Immediately alert, he crouched between the boulders, held there listening. And then he felt the sound more than he heard it. For the rocks vibrated, humming against his cheek. A voice. Young. Sweet. Female—and at that acknowledgement the Rider’s body shuddered in rejection. What the words were he could not tell, but they were meant in kindness. It burned to think that. Burned that such strange yearnings preceded this discovery. Silence followed, and after that a chink against stone, which made him tense. That was a horse’s hoof, he was certain. If the bearer of this voice had lured a horse, ’twas a violation of the worst kind. Gharain slid upright slowly, his back hugging the rock. He looked further along the cliff rim just above his head. He saw more clearly then and it sunk straight from heart to stomach with sickening pulse. She waits on the ledge. Tell Gharain she waits on the ledge. That fateful message. He was being mocked this time. To happen twice, as if he were that much a fool. He watched a moment longer. She was different. It was the moonlight; this one didn’t dazzle in the sun like the Breeder Erema. She was younger. Simply dressed. A travelling cloak, he saw. And her hair. Long, and heavy-straight, falling to her hips. It was brown, a dull gleam in the moonlight, simple too. What did it matter? Why even bother to attest to these details? A mockery of repeat, a Breeders’ taunting. And if not that, then she was a horse thief, the very least a trespasser. We kill trespassers, Gharain thought. Then: I will kill this trespasser. With pleasure. He did not like that this female, this girl, stood so quietly on that spit of rock, that she looked to the moon as if she were speaking thanks to it. As if she should be grateful to be there when it would be one of her last breaths. It was far too innocent. Another ploy to fool him, them, to destroy Tarnec. Destroy all. This is how it begins, he reminded himself. He raced up the path, head low, to creep in quick, to slay this brown-haired girl, swift and with no remorse. Just revenge. How it begins? Gharain thought, suddenly. Nay. It has already begun. He put his hand to the hilt of his sword. So then—this is how it ends. Thanks for stopping by Sandra I loved this!!!! The book sounds great and the excerpt left me wishing there was more. Woo wee! This looks like a good one! Thanks for writing it!!! Fantastic cover, and intriguing storyline! Wow, this book has everything! Romance, suspense, action! Thanks for the giveaway and update! This sounds amazing! I'm a huge fan of fantasy and this sounds like an exciting story. Thank you for the giveaway! Def need to read this now!!! Thank for the giveaway! Love the book cover. Thanks for the awesome giveaway! Thank you. Sandra and Jaime! The cover is amazing and can't wait to read it!! This sounds so much like my kind of book; I really can't wait to read it! What a happy event for readers of fantasy! Not only is this the first of a series, it is Sandra Waugh's first novel. We have so much to look forward to from this author. This is a wonderful story with appealing and complex characters, a world with great natural beauty, and a very well-developed plot. It is, of course, a YA novel, so there is a strong focus on Lark learning her own strengths and growing into them. I am decades past Lark's age, but I enjoyed her journey very much.